So, we are going hiking this summer. It’s not just a hiking trip; not just a camping trip. It’s a backpacking-hiking-camping trip with NINTH GRADERS. Nearly 20 of them! I probably should be absolutely terrified but I’m absolutely stoked for this trip! We will leave home on a Saturday for a very long road trip to Colorado – just outside of Aspen. We will stay in a church the first night, then camp the second night. Then we get to do some white water rafting. Then we pack everything up, we leave our cars (and cell phones and plumbing and mattresses!) behind for the next five days of hiking, sleeping, conversing and eating in the trails of Colorado. All of this is to bring us to the topic of road trips. Road trips = snacks. Very good snacks, my favorite of which is Cape Cod Salt & Vinegar chips. And Twizzlers, of course. We have been practicing for a few weeks now – three times per week – with loaded packs, wool socks, hiking boots on the best hills in town. And when I think about the long drive on the front end of our trip, I can’t help but think salt & vinegar. After realizing it had been a while since this place had witnessed a cookie recipe, I also realized it had been way too long since I shared a popcorn recipe. So popcorn, meet salt & vinegar. I know this popcorn doesn’t look like anything special. You can’t even really see that it’s flavored in any way. But let me tell you – it sure is. Malt vinegar and sea salt and a lot of zing. Summer road trips, commence! 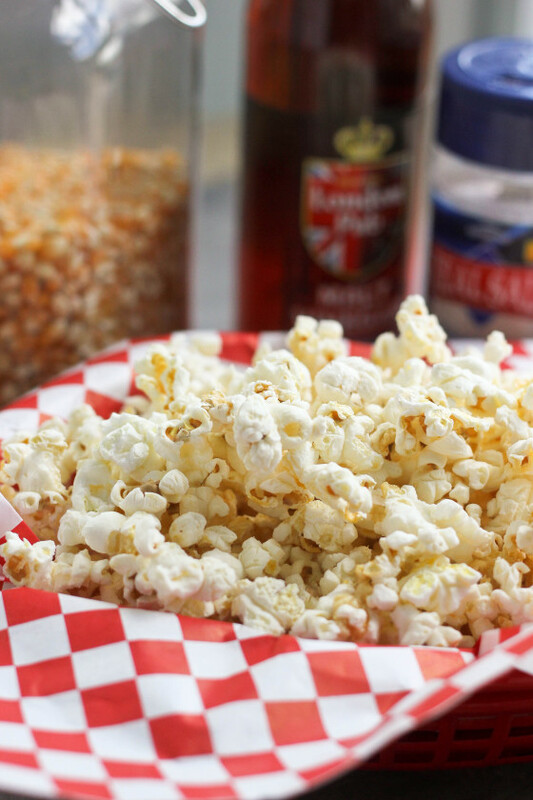 Sea salt & vinegar popcorn recipe with malt vinegar and fine sea salt. Place the popcorn in a large bowl. Pour on one tablespoon of the vinegar and shake to distribute. Add the salt and shake. Taste, and add more vinegar as your tastes desire. Add a few popcorn kernels and let it heat up. When one kernel pops, add 1/3 cup of uncooked popcorn kernels and cover the pan. Shake the pan a little to spread the kernels in an even layer. Let the kernels pop for several minutes until the pan is full and the popping slows down. Remove from heat and transfer popcorn to a large bowl. Looks delicious! Much better than movie theater popcorn. 🙂 Will have to try this soon! 20 ninth graders. Yeesh. You’re brave. But popcorn is always a good move. You are speaking my love language with this one sista!! Your trip sounds fantastic – I can’t wait to take my boys camping! Brilliant!!! I love all things sea salt and vinegar. I’m totally going to try this! And good luck with those ninth graders. They’re lucky to have you guys! I love salt & vinegar chips! Never thought about trying that flavor in popcorn. Sounds good! Love this! There are some popcorn “nuts” at my house that will devour this. Have fun on your camping trip – I’m sure you will have a blast!!! You are you brave girl!!!! Sounds like fun though!! And this popcorn looks like the perfect thing to bring along! Ooh, salt and vinegar is one of my favorite chip flavors! Using those same flavors on popcorn — now that’s dangerously addictive! I did a trip like this to CO in HS and it was truly amazing! I hope it’s wonderful for you and the kids! …and I am loving this popcorn idea! You are the popcorn queen! 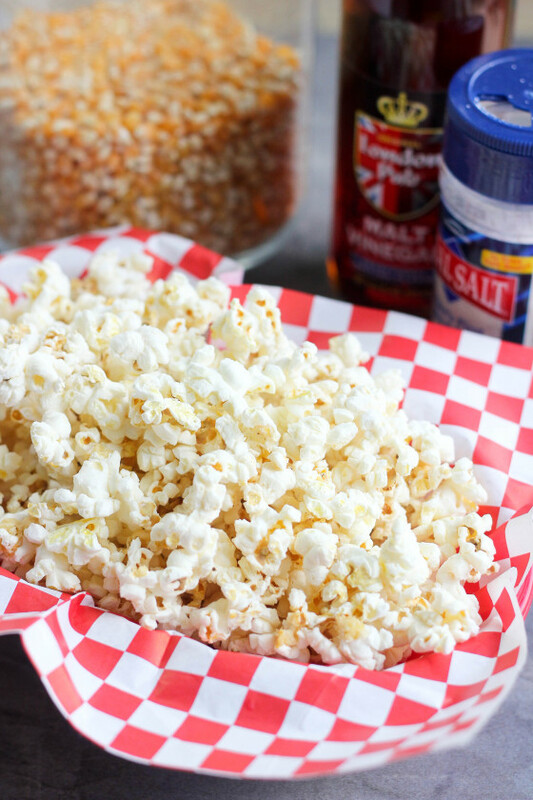 I love love love sea salt and vinegar chips and love this idea for popcorn!! oh boy! salt and vinegar have always been my most favorite chip! what a great healthier alternative with the popcorn, so smart! Definitely trying this soon! I love salt and vinegar chips, so am looking forward to trying this recipe! Oh yum! We LOVE air popped popcorn and I am always looking for new toppings to try! You are a genius! Why have I not thought of this before?? Sea salt & vinegar chips are my absolute favorite and popcorn is my go-to snack, so needless to say, I will be on board with this delicious snack immediately! Your trip sounds like so much fun! This looks so yummy! I’m a big popcorn fan and can’t wait to try this recipe! The recipe didn’t work. My popcorn became soggy when I poured 2 tbsp of vinegar onto it. Works really well if you apply vinegar with a misto spray pump so it comes out in a fine mist and then let it dry for a bit – very addicting!! 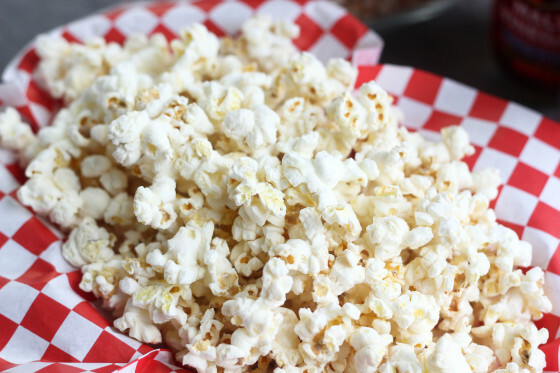 Pingback: 25 Popcorn Recipes perfect for a quiet night in.